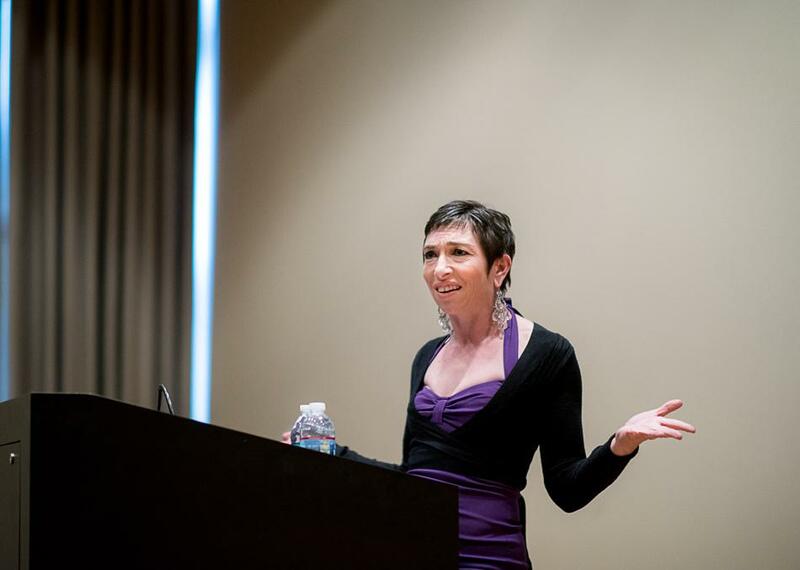 Naomi Grossman, an actress on “American Horror Story,” discussed her experiences in Hollywood on Wednesday night. Grossman graduated from Northwestern in 1997. Actress Naomi Grossman spoke Wednesday night about her journey to Hollywood and advice she wishes she knew before going there. Known for her role as Pepper on FX’s “American Horror Story,” Grossman (Communication ‘97) gave a talk titled “So, You Wanna Work in Hollywood” in Annie May Swift Auditorium to about 30 people. The event was part of a speaker series put on by the School of Communication’s External Programs, Internships, and Career Services, known as EPICS. After Grossman graduated from Northwestern, she knew she wanted to go to Los Angeles and have her own sitcom. But when she first got to Hollywood, she struggled to break into the entertainment industry. Instead, she worked as a waitress by day and a cocktail server by night. However, she still wasn’t getting attention from Hollywood, so she decided to put some of her work on YouTube. Some of the videos received more than one million views and were shown at comedy and theater festivals nationwide. She got an audition for “American Horror Story” and was eventually cast as Pepper. What was originally a small role ended up spanning two seasons, put her on the map and changed her life. Colin DeKuiper, assistant director of EPICS, said that Grossman is an “incredibly successful” alumnus. The focus of EPICS, DeKuiper said, is to look for alumni who are out in the world doing great things. “I think when you start to get these narratives from people like Naomi, you start to get a better sense of what the business is like and what to expect,” he said. Grossman gave students 10 tips to stay sane once moving to Hollywood. She told them to make sure they love what they do and do work they are proud of. She also told the audience to not make a backup plan or give themselves a deadline. “Her speech was very inspiring and it answered a lot of questions about just life in general and navigating Northwestern,” Adjei said. The last piece of advice Grossman left the audience with was to not micromanage life.